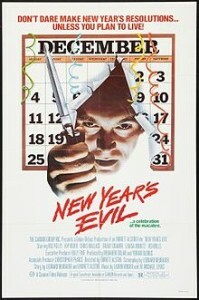 Holiday Horror: The Bloody Best! Merry Christmas, Happy Hanukkah, Kwazy Kwanzaa, a tip top Tet and a solemn dignified Ramadan everyone! 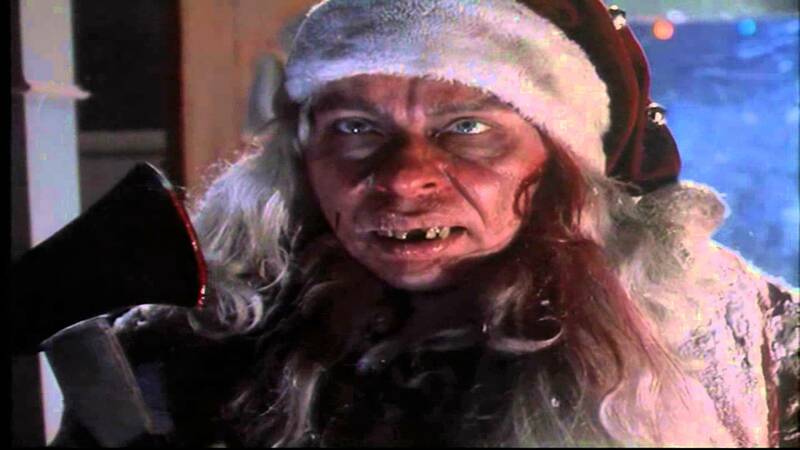 Below is a list of classic Christmas films that are basically the bedrock of the holiday horror subgenre, which has easily been the most prosperous of the many slashers related to specific days or times of the year (save for summer camp of course.) A few in the field I haven’t seen (like recent fare, A Christmas Horror Story) and a couple that could easily go into honorable mentions (such as the brutal David Hess directed, To All A Goodnight) while also removing popular properties like Gremlins and A Nightmare Before Christmas that despite being great movies, simply don’t fit the formula of the genre. The mother of all season’s grievings and arguably the prototype of the entire slasher genre, director Bob Clark created not one but two landmark holiday films: A Christmas Story and this 1974 descent into madness that still satisfies more than 40 years later. 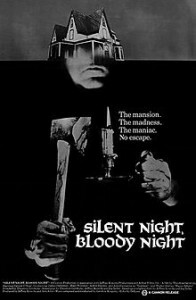 Much like the similar companion piece Silent Night, Bloody Night and a few others on the list, the focus is far more on the hectic holiday season as a backdrop as opposed something making more explicit use of Christmas imagery such as Silent Night, Deadly or Christmas Evil. This absolutely gripping and marvelously multilayered feature is a classic and I cannot stress enough that it deserves the top spot not only for its multitude of contributions to the genre but because it transcends it. 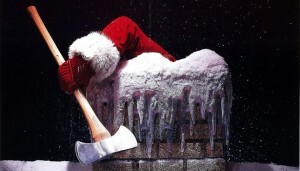 Despite being only 5 years old at the time of its release, the iconic image of an axe wielding Santa climbing down the chimney to punish (PUNISH!!!) was instantly burned into my brain and is one of my all time favorite pieces of promotional artwork. 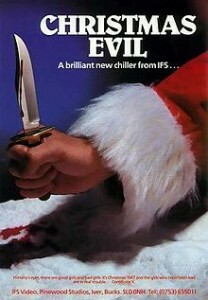 This controversial flick is in many ways, two features fused together (though not nearly as much as it’s hilarious sequel) with the first 45 minutes being a dark prologue/origin story that is genuinely unnerving at times and an exaggerated but still sympathetic portrait of orphanage life while the latter is a gleefully gory sleigh ride that will fill you with Christmas cheer. John Waters’ favorite Christmas movie and beloved by many horrorhounds across the globe, Christmas Evil isn’t your typical hack and slash holiday entry; instead it is a blistering commentary on commercialism, the death of wonder in the world and an intimate portrait of mental illness. Oh yeah, it’s also got a lot of slay bells jingling all the way to the jugular that while being less gruesome and more humane than other films on this list still delivers on the merry mayhem. John Waters love it so what other recommendation do you need? A long standing piece of the public domain Parthenon, Silent Night, Bloody Night is a lot like Black Christmas (which was, for a time re-titled “Silent Night, Evil Night”) in that it’s a slasher set amidst a winter wonderland backdrop but also overflows with a murder mystery plot line, eerie atmospherics and some disturbing elements straight out of a VC Andrews novel (but predating them and Black Christmas itself) that keep this early 70s hidden gem from being forgotten. 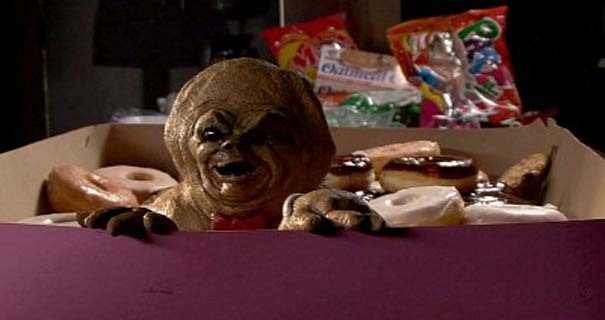 Long issued as a bad VHS bootleg, both Film Chest and Code Red have put out superior special editions in recent years so if you wish to witness a truly festive fever dream of a film, it’s worth a watch or two. A joint French-Scandinavian effort that uncovers the “real story of Santa Claus” this one is a relentless blend of deadpan and highly intelligent humor, gorgeous settings and a truly original holiday horror story with just the right mix of both elements. With a likeable young hero, terrific cast and an epic adventure feel that is sure to win more fans in the future than it did upon its original release. Whether it’s the original 1972 film or the 1991 television episode, both versions of this classic Tales from the Crypt story embody the holiday horror spirit for me; I can’t decide which one I love more but because of nostalgia, I’m going to go with Dr. Giggles himself, Larry Drake playing an escaped madman dressed as Mr. Claus who terrorizes a woman who has been very naughty this year. 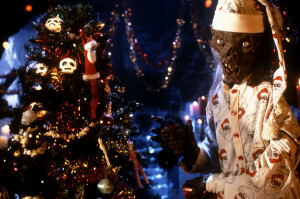 It’s delightfully devilish fun and a tradition in my house every December; enjoy boils and ghouls EAHAHAHAHA! The newest entry into the hallowed halls of yuletide terror, Trick r Treat director Michael Dougherty brings to harrowing life the Abominable Snowman of Alpine folklore, the AntiChristmas himself Krampus. While this one may need a few more years to be certified a Christmas cult classic, it has all the potential including beautiful cinematography, great score and one of the best montages to kick things off in quite a while. Though Krampus didn’t reinvent holiday horror like Trick r Treat did, the well developed characters, quality visuals and satisfying ending make this one I look forward to revisiting soon. 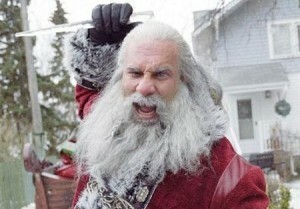 Mostly memorable for the funny and ferocious first five minutes than the largely lagging rest of its lean 78 minute running time, “Santa’s Slay” was a vehicle for WCW star Goldberg, who while very likeable and proficient in the role, just doesn’t deliver anything especially interesting, introspective or fun but the cameo laden killing spree that opens this feature makes it worthy of mention. 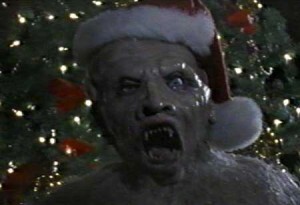 Can’t get enough holiday horror? Well you can always grab a bottle of bubbly, someone special and ring in 2016 with New Year’s Evil…Happy Horrordays everyone!